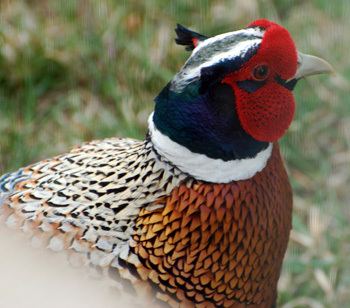 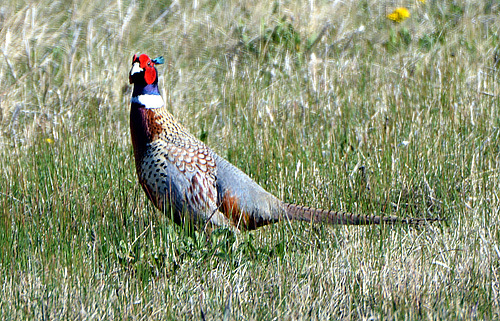 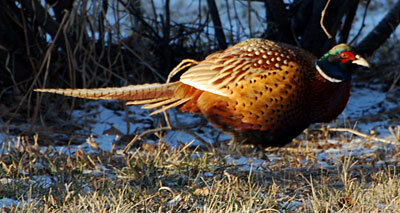 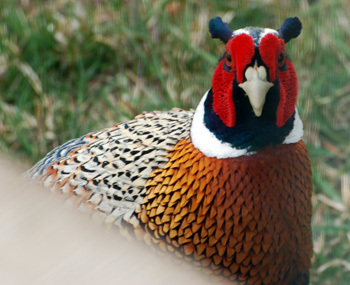 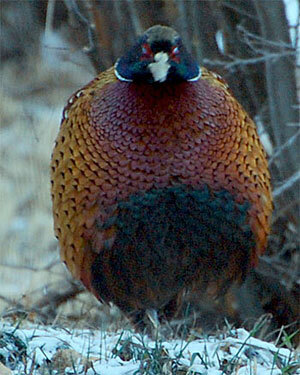 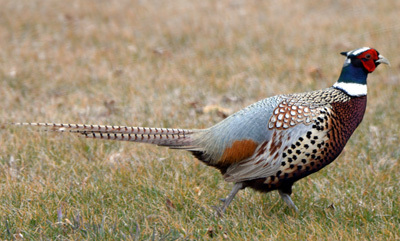 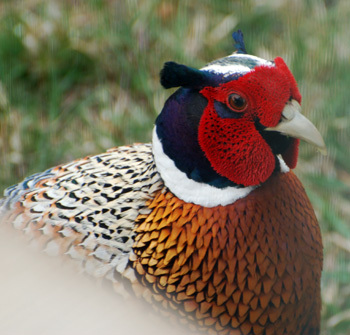 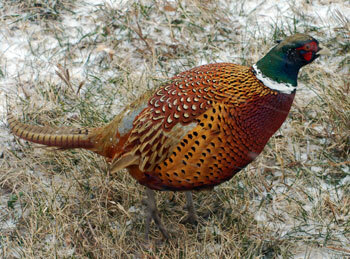 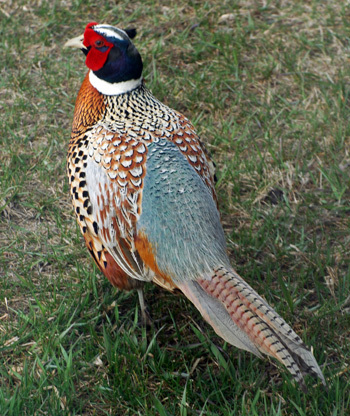 Pheasants are not native to our area. 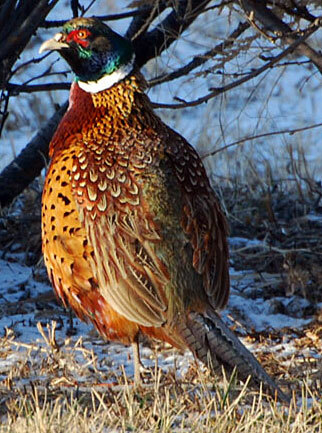 Hunters raise them then let them go during hunting season. 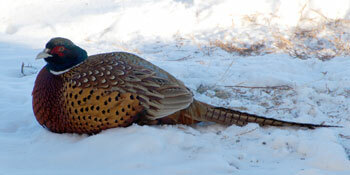 If they are lucky enough to be on our property, they may live a longer life. 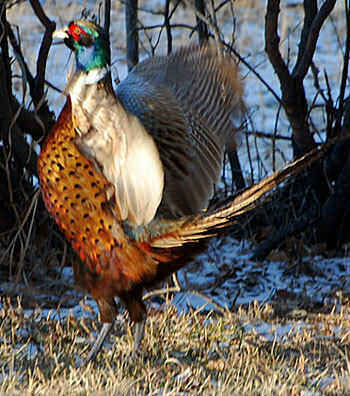 I have seen a few survivors over the years. 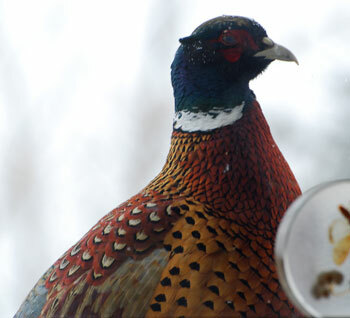 Looking in the basement window!